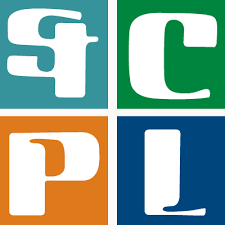 The St. Charles Public Library is located in St. Charles, Illinois. It first became a tax-supported institution in 1906. In 1978, voters decided to change it from a township library to a district library that would operate independently. Since then, various upgrades and additions have been made. There are several genealogy resources at the St. Charles Public Library. America’s Genealogy Bank – Search over 1,000 newspapers; the American State Papers; US Congressional Serial Set. Find obituaries, birth & marriage notices; pension records and more. Ancestry Library Edition – AncestryPlus includes over 1.2 billion records and is one of the most comprehensive online databases of genealogical and local history research available. Cavendish Square Peoples of Europe – Information includes ancestors, food, family life, festivals, dance, music, and sports. Cavendish Square Peoples of Africa – Includes ancestors, food, family life, festivals, dance, music, and sports. Chicago Sun Times – Coverage of the full-text paper from 1986 to current. Chicago Tribune – Coverage of the full-text paper from 1985 to current. Chicago Tribune digital microfilm – Microfilm reproduction of the Chicago Tribune, all editions. Digital microfilm includes every page of the newspaper, including display ads, legal notices, and classifieds. Chicago Tribune, Historical Edition – Full page and article images with searchable full text back to the first issue in 1849 to 1990. This collection includes digital reproductions providing access to every page from every available issue. HeritageQuest Online – Includes genealogies, local histories, primary source materials and genealogical and local history serials, including PERSI. An ongoing project, this database continues to grow and includes materials from all 50 states, Canada, and the British Isles. Historic Map Works – This high quality, full color digital collection of historic maps is one of the most extensive available. The core collection consists of over 1.5 million maps of the United States and the world. Historical Newspapers Extra Edition – Search the Historical Chicago Tribune, New York Times, Christian Science Monitor, Los Angeles Times, and Wall Street Journal through this easy-to-use page that includes timelines and popular topic searches. Illinois Digital Archive – St. Charles, Kane County and Illinois local history documents, maps, and photos. Kane County Chronicle – Full-text coverage beginning in July 2004 to current. Local Newspaper Index – The Newspaper Index is a selective index of articles published in the Kane County Chronicle and the St. Charles Republican newspaper from 1986 to the present. The full text of these articles is available at the Library in print, online or microfilm.